According to Ford and GM, gross vehicle weight rating (GVWR) is the maximum allowable weight of your fully loaded vehicle. This includes all options, equipment, passengers, cargo, and tongue weight. Did you know that tongue weight should be measured to find true GVWR? Tongue weight is the static force the trailer tongue exerts on the hitch/tow ball, which is a critical factor for finding true GVWR and successfully reaching a Towing Peace of Mind. Proper trailer tongue weight improves the vehicle and trailer towing experience by improving performance and safety. Not enough tongue weight or force on the hitch/tow ball causes an increase in trailer sway from side to side, making it difficult to control. Conversely, too much tongue weight or force on the hitch/tow ball could overload the rear tires of the towing vehicle, pushing the rear end of the vehicle around. This negatively affects the vehicle handling. Performance is impaired as you might not be able to go around corners and curves properly, and your vehicle may not stop quickly enough when you press the brake pedal. 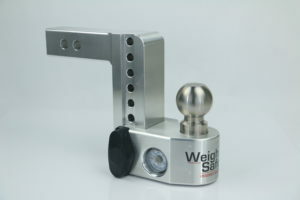 Before Weigh Safe hitches hit the market, the best way to measure tongue weight was to disconnect your trailer and place only the tongue on a scale. 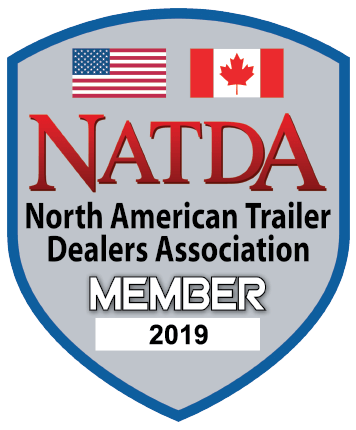 Our Weigh Safe hitches eliminate that time-consuming task because we have a built-in scale that effectively measures the tongue weight of your towing load. Not only does this improve the vehicle tow load balance and performance, but it also gets you on the road a lot quicker and keeps your family and nearby drivers a lot safer.